U.S. #1097 – Lafayette returned to America in 1824 and visited all 24 states, including a tearful visit to Washington’s tomb. 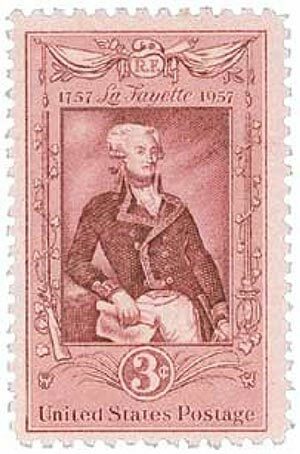 On September 6, 1757, Marie-Joseph Paul Yves Roch Gilbert du Motier de Lafayette, better known as the Marquis de Lafayette was born in Chavaniac, in Haute Loire, France to a wealthy family. With ancestors who’d fought alongside Joan of Arc, Lafayette developed an early hunger for military glory. His father died on the battlefield when Lafayette was two years old. His mother and grandmother died when he was 13. The young orphan inherited a great fortune. Descended from a long line of soldiers, Lafayette studied at the Military Academy at Versailles. When he was 16, he married Marie Adrienne Françoise de Noailles, the daughter of one of the most powerful families in France. Shortly after his marriage, Lafayette became a captain in the cavalry. However, he disliked court life, and soon grew interested in the events of the American Revolution. U.S. #1082 pictures part of a 17 by 51 foot mural. On September 5, 1882, the first Labor Day parade in the United States was held in New York City. The first Monday in September marks the unofficial end of summer, but the Labor Day holiday was created to mean much more. Its roots can be traced to the Industrial Revolution, when Americans worked long hours for low wages. Labor unions grew at the end of the 19th century, as workers organized to improve working conditions. 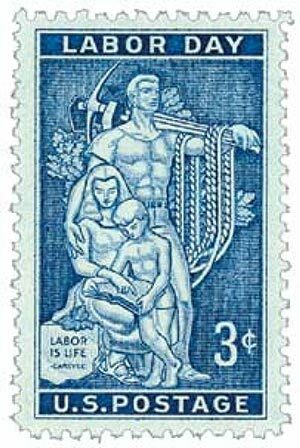 It was these unions that began a yearly tribute to the contributions of U.S. employees. 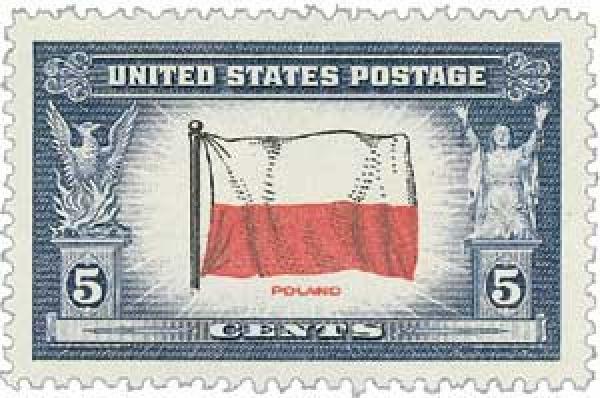 U.S. #814 – From the 1938 Presidential Series. On September 4, 1812, the Siege of Fort Harrison began. It would end 11 days later in the first American land victory of the War of 1812. En route to their battle at Tippecanoe, General William Henry Harrison’s army camped along the Wabash River. 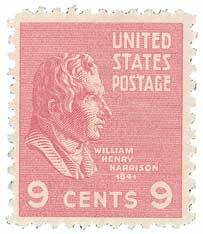 Harrison and his men built a fort, which was named for the general, on the site to protect the army’s supply lines as well as the Indiana Territory’s capital at Vincennes. U.S. #2052 was based on an unfinished painting by Benjamin West that was created a year before the actual signing. 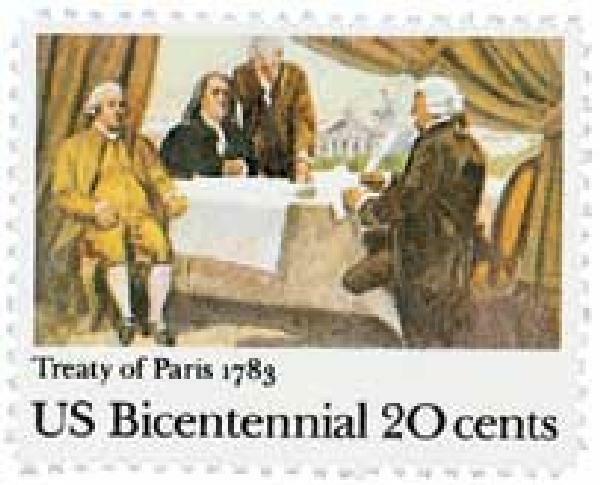 After more than eight years of fighting, the American Revolutionary War came to and end on September 3, 1783, with the signing of the Treaty of Paris. Two years earlier, the British suffered a disastrous defeat at Yorktown, leading to the surrender of Lord Cornwallis and the capture of over 7,000 of his men. This loss dramatically lowered British support for the war, leading that nation’s Prime Minister to resign the following spring. That April, the House of Commons voted to end the war in America and agreed to enter into peace talks. 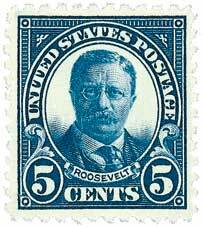 U.S. #557 was issued on Roosevelt’s 64th birthday. Roosevelt had previously used the phrase in a private letter the year prior when he was governor of New York. In the letter to Henry L. Sprague dated January 26, 1900, Roosevelt expressed his happiness that the New York Republican Committee had revoked its support of a corrupt financial advisor. U.S. #909 – Flag of Poland from the Overrun Countries series. On September 1, 1939, Germany launched a land, sea, and air invasion of Poland, marking the start of World War II. Poland has a long and varied history. At one time, Poland ruled an empire that stretched across much of central Europe. In 1795, Poland was conquered and divided among Russia, Germany, and Austria. This brought an end to Poland’s centuries-old existence as a separate nation.